The Bundesverband der Dolmetscher und Übersetzer e.V. (BDÜ) is the largest professional association of translators and interpreters in Germany. It represents the interests of all professionals who have been admitted to membership, based on their qualifications. I have been a BDÜ member since 2007. The International Association of Professional Translators and Interpreters (IAPTI) is an international NGO that aims to promote ethical practices in the field of translation and interpretation. I have been a member since 2012. 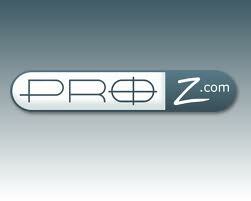 Proz.com is the world's leading enabling and sourcing platform for language professionals. I have been a paying member of Proz.com since 2003, and I am now also part of Proz.com's "Certified PRO Network", which is based on the EN 15038, a quality standard developed especially for translation services providers. The EN 15038 standard ensures the consistent quality of the service. Here is a link to my Proz.com profile.